For some reason this past year I have been SUPER excited for summer to come around. I don't know if it's the SUPER cold winter we had or the fact that I'm so much more confident with my body and ready to rock a swimsuit on the beach this year, but I feel like I've been waiting for summer to come for just months and months!! 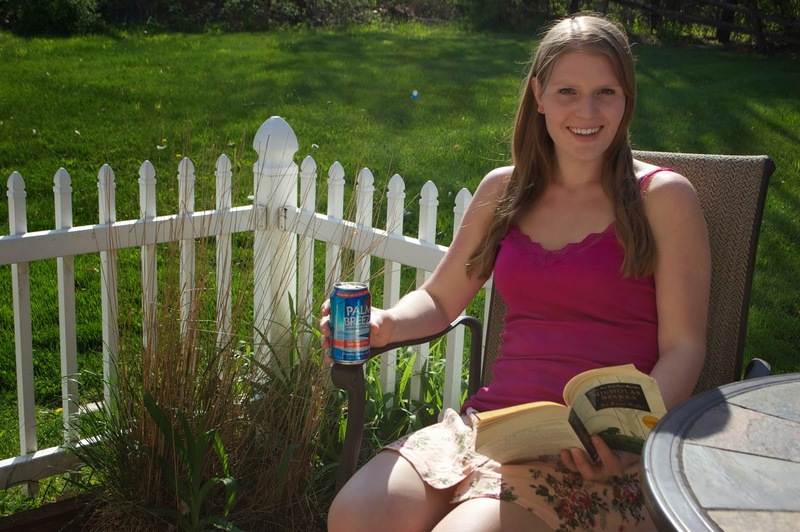 One of my favorite things to do in the summer is relax in the sun with a cold drink on the weekend, and since it's the weekend I want that drink to be a little harder than the normal lemon water I drink all day during the week! 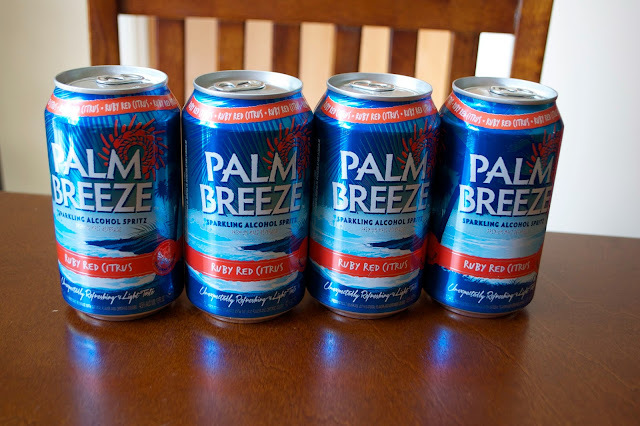 I recently got to go out and purchase a brand new girly alcoholic drink that I'm so excited to share with you - Palm Breeze! I have never liked beer so I'm always on the lookout for an easy girly beverage I can just grab and drink. 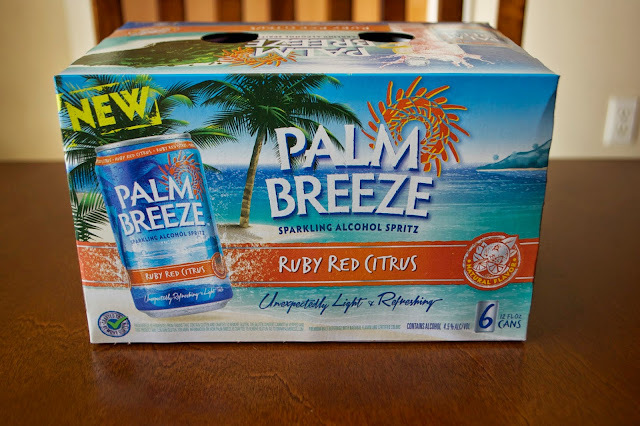 Palm Breeze is a flavored malt beverage that comes in Ruby Red Citrus and Pineapple Mandarian Orange flavors. I sampled the Ruby Red Citrus flavor and I absoletely LOVED the taste. It tasted like a light and refreshing citrus soda and definetly did not have an overly strong taste of alcohol. One of my favorite summertime activities is grabbing a book and a drink on a sunny Saturday and floating around in my in-laws pool. Since their pool isn't open quite yet but I've been in a summer mood I've enjoyed making my own mini vacation on the weekends right in my own backyard! I may not be in the water but with a little sun on my skin, a cold Palm Breeze in my hand, and some girly chick-lit to read, I've been one happy camper waiting for summer to officially kick-off. I'm glad I found how relaxing it can be to just make my own little mini vacation at my house because my in-laws are actually trying to sell their house right now so I may not be able to enjoy using their pool all summer!! Luckily we do have a vacation planned later in July to a lake house in Virginia so I will be able to enjoy some time floating on the water. The house we are renting has it's own dock and I can totally see myself teethering myself to the dock and pushing off on my pool float with a book and cooler full of Palm Breeze COMPLETELY ready to relax for the afternoon!! Maybe I will have to look into getting one of those floating coolers to bring with, then I would really be set!! Are you ready to find your own way to make everyday a little vacation? If so you can try Palm Breeze for yourself by finding a distributor near you. If you live in the Dallas area you can also RSVP to attend a live Girls Night Out with Palm Breeze at BLO Blow Dry Bar! You can RSVP HERE.